If you didn't win this one, there are plenty more giveaways to come. On a personal note, today is my husband and I's wedding anniversary. We have been married 16 wonderful years and together 21! We met when I was a sophomore in high school at just 16. He took me to my senior prom. I love this guy more than anything in the world. 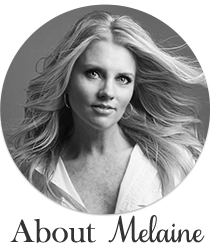 happy anniversary melaine! it's so refreshing to see couples lasting in today's world...my daughter and her husband met when she was 16 and they dated for 5 years...got married 1 week before she turned 21. they will be married 16 years in october...so ya'll must be around the same age! Just making my morning stop over here, and it was an awesome surprise to see my name up there! Sweet! And a Happy Anniversary! Let's see the prom photo just to prove it! Ha! Happy Sweet 16! Happy Anniversary...Sweet picture of the two of you! Happy Anniversary! I married at 15 and celebrated my 25th in May.. No common among my friends! I am very blessed.. Have a great day! Happy Anniversary Mr and Mrs T! CONGRATS! It is rare these days that young love is lasting. I met my hubby on my 16th b-day at church camp and we have been together 23 years now! Happy Anniversary! You have been married one year longer than Travis and I! And you are one year younger than me :) Have a wonderful weekend! Happy Belated Anniversary and Many More!